Anyone who has owned or played a Nintendo 64 knows what it’s like to question how exactly you should be holding your controller. Is it left and right? Middle and right? How do I use the Z button if I need the D-pad? Obviously, things have changed over time, although the same basic principles have prevailed since the arcade era: push buttons and tilt sticks to move and act. Of course, the ubiquity of the touch screen nowadays makes things a little more free-range, although many games stick to the idea of buttons and a single cursor (which is basically the modern equivalent of a joystick). That is, until you run up against games like Eliss Infinity. I should probably preface this whole article by saying that I’m really no good at Eliss Infinity, in fact, I’m really terrible. But just like Super Hexagon, I can appreciate a game without being particularly skilled at it. In this case, it’s the way you interact with the game that really stuck out for me. In the game, it specifically tells you to put your phone/tablet onto a flat surface in front of you. When I first saw that, I scoffed, thinking that I could easily manage with one hand (also, I was on the toilet). It quickly became clear that that wouldn’t work since you have to use a pinch motion to play the game. On top of the pinch, I found out pretty quick that I’m going to be needing most of my fingers to get anywhere in this game, something that is rare even on modern day consoles (think about how much mileage your two thumbs get compared to your ring fingers or pinkies). You need to manipulate multiple game elements that are all interacting simultaneously on the screen, another first for me when it comes to mobile games. When I put the game down and got back to real life, I couldn’t stop thinking about how weird but engaging it felt to be presented with a new way to use my phone. The last time that happened to me was in the Pokemon Stadium minigame, Ekans Toss. In Ekans Toss, you have to hold the N64 controller in a way that basically no other game ever has (to my knowledge): using the left and middle parts of the gamepad. This allowed you to aim with the D-pad and control the force of your toss with the joystick. Even though this felt foreign and unnatural at first, I was so interested in the mechanic that I played it non-stop–I am now SICK at Ekans Toss, by the way. I suppose most people would come back at me by saying that the N64 controller was an abomination and that modern consoles have fixed that problem. Those people would be right, for the most part, but that’s not what I’m talking about. 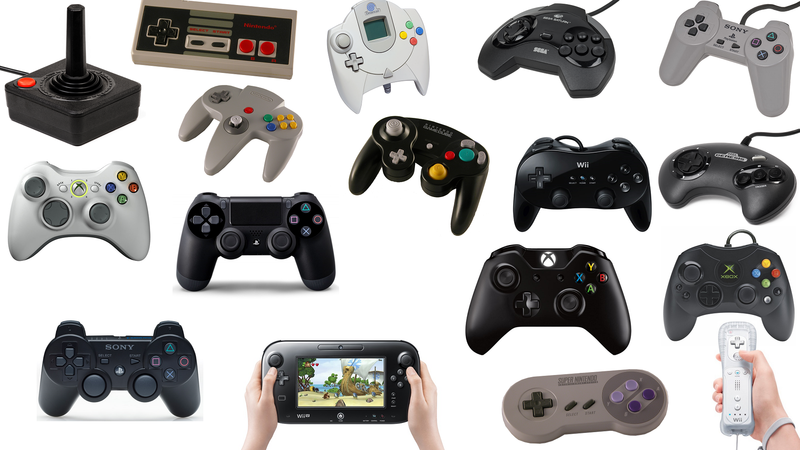 I’m all about advancing the technology we use to control games, but I think it’s worthwhile to think about how we can use existing controllers in exciting new ways, maybe even spawning new hardware as a result. If anyone knows a game that makes you use all your fingers at once, or maybe makes you put the controller on the coffee and dance around the buttons with your palm or whatever the hell else developers can think of, let me know! P.S. the Wii doesn’t count.